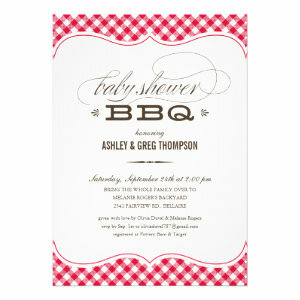 These seasonal BBQ Baby Shower Invitations are perfect for those looking to host a garden party celebration for their baby shower party. 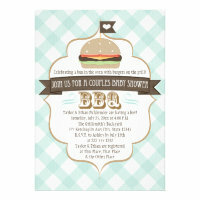 Our barbecue party invites include both boy and girl designs. 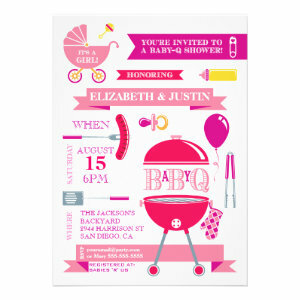 There are some gender neutral ones as well, for those wanting to have a gender reveal baby shower party. 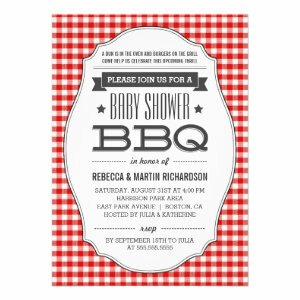 With many different designs to choose from, like vintage blackboard invitations, gingham pattern invites, modern BBQ announcements and even July 4th baby shower invites. 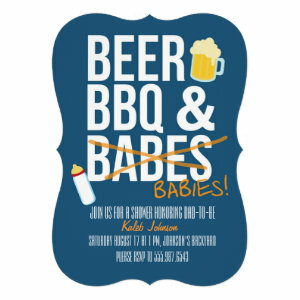 All of the BBQ baby shower invitations are customizable. 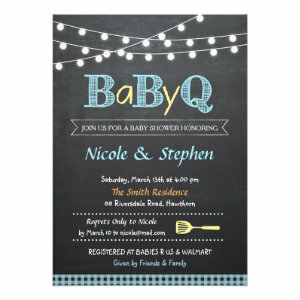 Simply enter the name, address, party details and guest information you want. 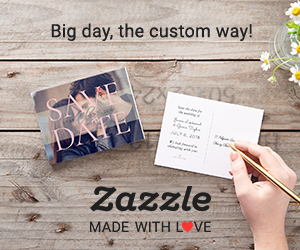 It's a really quick and easy way to have personalized invites and adds an extra special touch to your celebrations. 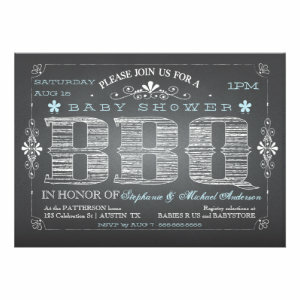 Invite guests in to your party in style with a personalized BBQ Baby Shower Invitation. 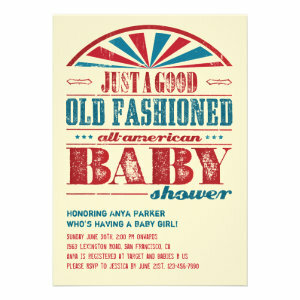 A fun way to get the celebrations off to a sizzlingly good start.